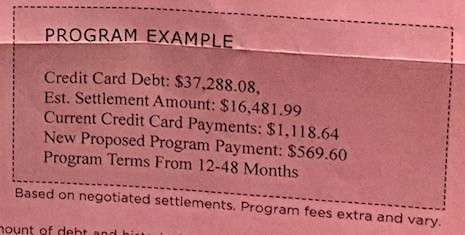 A reader sent in the United Debt Services mailer below through my I Buy Junk Mail program. 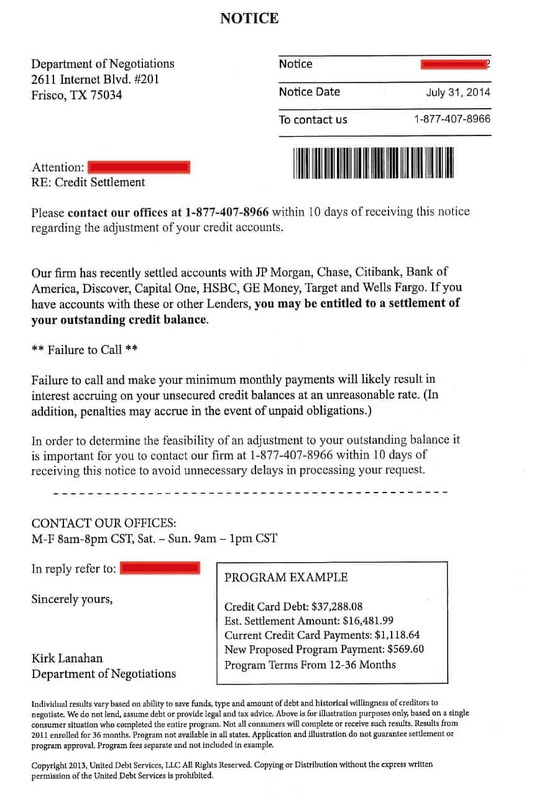 The mailer is from United Debt Services in Texas. 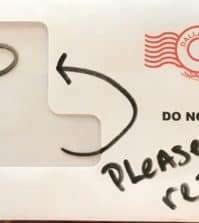 What really caught my eye was how much the mailer hasn’t changed since I wrote about it in 2014. I wonder if the mailer meets the standards set by the Federal Trade Commission when it comes to performance examples. The example United Debt Services uses is this one. Which is darn near identical to what they were saying back in 2014. So it seems the “program example” is not really a statistical example based on performance when after three more years of service, the results remain the same, except they now say the same results may take up to 48 months. 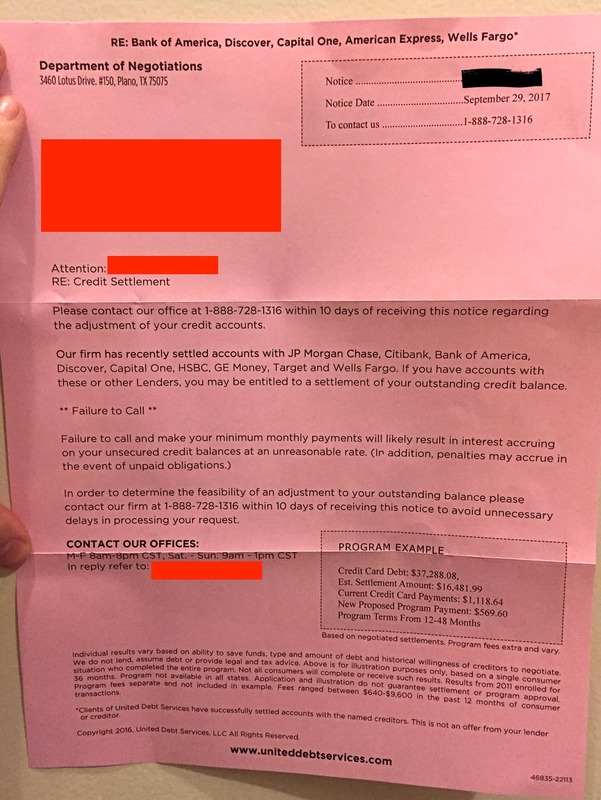 The mailer must be working well for United Debt Services since they are still using it. The mailer was sent from postal permit 1935. READ American Debt Counseling, Sorry! It's United Debt Services! 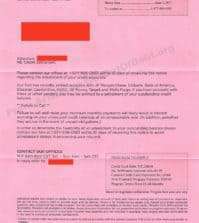 United Debt Services Mailer – What Do You Think About It?